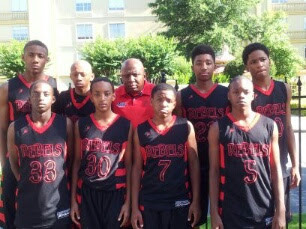 The NC Runnin Rebels advanced to the AAU National 7th Grade Final Four in Memphis, Tennessee. The Runnin Rebels defeated San Antonio Hardwork 54-51 to advance to the round of four. Congrats to NC Runnin Rebels for this successful run and we wish them luck the rest of the way.